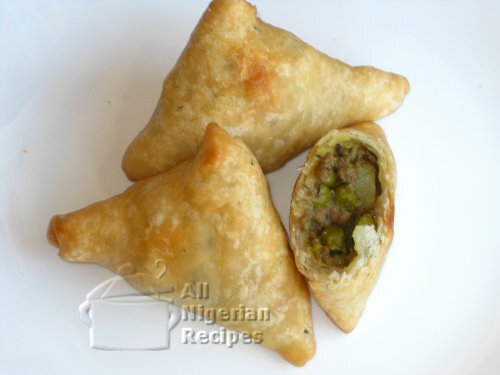 Samosa is an Indian delicacy but Nigerians love it so much! It is now a constant feature at every party. Be sure to look for it in the small chops section and hurry because it is usually one of the first to disappear. Feel free to customize the filling to your taste but the classic Indian Samosa must contain Irish potatoes and green peas. See the video below for details of how to make Samosa.